Shortly after Mark befriended Derrick Carter in 1988 at a record store in Chicago, his passion for House music, and sharing it with the world, exploded. Mark experimented with a deeper style, dropping De La Soul, disco classics and other stuff that wasn’t being played in the main rooms of nightclubs. While exploring his love for the purist forms of House Music, Mark developed his trademark style: Mushroom Jazz; acid jazz infused with the West Coast’s jazzy, organic productions along with urban beats. Fans embraced Mark’s downtempo style so much that he started a weekly Mushroom Jazz club night in San Francisco with Patty Ryan. In 3 short years, the club established a fanatical, cult-like following for Farina and the Mushroom Jazz sound. When the doors closed, Farina continued the tradition by releasing a series of Cds, “Mushroom Jazz”. Since then, Mark has been traveling the globe performing 100s of shows, to over one million club goers, a year. His House sets take fans on journeys to the jazzy side of Chicago House mixed San Fran style. Some of these sets have been known to last up to 8 hours. And sometimes you’ll find Mark playing in two different rooms at the same party, showcasing his range of rocking the big room sound to the uber-chill. Farina’s taste making skills continue to turn the heads of crowds worldwide and consistently draw new fans to his style of chunky–funky rhythms and deep underground house. 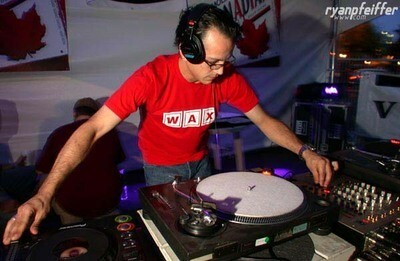 URB, MUZIK and BPM Magazines have all had him on their Top DJ’s In The World lists. What are some of your favorite mixes from the past year or so? UR094 Helder Teixeira "Umbaye /Cape Verde EP"
All times are GMT -4. The time now is 02:41:38 PM.